ZETU has a partnership agreement with Umfolozi TVET College to develop a footwear production-training Centre at the College Campus. This factory will require skilled workers with experience who will operate sophisticated machinery from Europe. The core of the workforce for the ZETU factory will come from rural KwaZulu Natal including Uthungulu region. 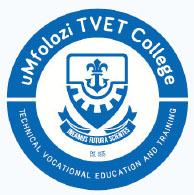 This is the reason why we decided to introduce skills training as a first step and to establish a small scale satellite factory in partnership with Umfolozi TVET College in order to firmly establish the footwear industry in the region and build work experience for graduates from the College. The satellite factory started operations in February 2015 producing sandals. The students will also get exposure to sophisticated machinery at the ZETU factory through job placements and in-service training. They will get a first choice opportunity to apply for work at the ZETU factory after graduation.